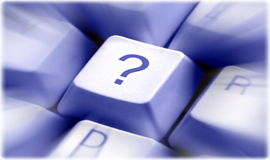 We have tried to respond to the most frequently asked questions. If you don’t find the answer you’re looking for, don’t hesitate to contact us or write as an email. What’s the maximum length that the Giemme System can reach? What’s the maximum size of the individual doors/panels? Is a floor guide rail always necessary? 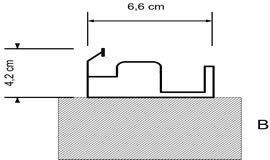 What are the dimensions of the floor rail guide? What type of glass can be mounted into the doors? What guarantees isolation from the outdoors? What is the supporting structure made of? Is the glass Giemme System suitable for both indoors and outdoors? Does the glass Giemme System need maintenance? Is it possible to clean the outside of the glass when the Giemme System is installed on balconies? My veranda has two adjoining sides. Can the Giemme System go around corners? How can I find a Giemme System retailer in my area? Do you have other questions that we haven’t answered? What’s the maximum lenght that the Giemme System can reach? The maximum length that the Giemme System can reach is virtually unlimited since it’s a modular system. The doors are folded up in groups of 5-6 and glide along the floor rail guide to be positioned wherever you prefer. 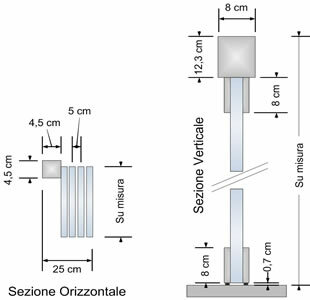 Each glass panel may reach a maximum height of 2800mm (2900mm including the upper track) and a maximum width of 750mm. Even wider widths can be permitted as long as the height isn’t excessive. Heights greater than 2900 mm can be reached by using a transom window. The Giemme System can be made with up to a maximum of 4 doors/panels without the floor rail guide. By folding up the doors on both sides it’s possible to cover up to 5.5m . The floor rail guide is reduced to a minimum 2x2cm which can be recessed into the floor or can be external. On request the floor rail guide can be removable. The Giemme System glass panels (both the folding glass panels and those which function as a door) are made from 10mm tempered plate crystal. The glass can be decorated or screen printed. The Giemme System glass panels are equipped with U-shaped transparent polycarbonate seals which are positioned between the individual panels. When the doors are closed the seal fits perfectly between them forming a unique transparent wall. Also protection against the elements is guaranteed by polypropylene fibre brush seals that run along the upper and lower sides. The Giemme System conforms to regulations UNI EN13451-1. The supporting structure is made of aluminium that can be anodised (20 microns) or painted in polyester powder. Anodising at 20 microns guarantees the maximum protection against erosive elements such as salt or sea mist. Yes, the folding glass Giemme System doors can be used to close off balconies, verandas and shops or used as an internal partition for both homes and shopping centres. Whether used internally or externally it’s possible to insert an access door complete with a lock and handle. The glass panels are made from aluminium and tempered glass with Inox stainless steel accessories. The intrinsic qualities of these materials don’t require maintenance only an occasional thorough cleaning. Yes, a releasable hinge system was developed and patented especially for this purpose, allowing you to clean the outside of the glass whilst remaining comfortably inside. Don’t hesitate to write us an email or contact us by telephone on +39 02 99 68 29 93 (or by fax +39 02 99 69 31 46) and we’ll help you to locate your nearest retailer. Send us an email info@gmmorando.itand we’ll get back to you as soon as possible. To evaluate a product properly it’s imperative to see it in action. In the photo gallery you can see the reality that GIEMME SYSTEM creates with your own eyes.